Swimming lessons benefit children of all ages. If a child learns to swim at a young age, he or she will reap many benefits of that knowledge over the course of his or her life. Baby swimming lessons can be enjoyable and affordable. The young swimmer will grow confident in his or her abilities in the water. Swimming can be used as a lifelong exercise method for enjoyment and sport. Baby swimming and infant swim lessons can be customized to your child’s needs and abilities as the lessons progress. Mollie Moore owns a swim lesson business called Making Waves. The goal is to provide personal swimming lessons for infants in the family’s own swimming pool. You will save time on these swim lessons since Mollie comes directly to your home. The child will learn to swim in a familiar environment, and this familiarity can help to make the lessons easier and more effective. Many children find swimming lessons to be boring and difficult, but Mollie will ensure that this doesn’t happen to your child. 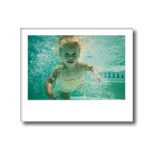 Infant swimming lessons primarily focus on safety. Once the child knows he or she can be safe in the water, the enjoyment of swimming will come naturally to him or her. These convenient swimming lessons are perfect for parents that want individualized lessons for their children. Infant swimming lessons can promote a long life full of enjoyment with water activities. When the child approaches the ocean or a swimming pool later in life, they will be confident and strong in the water. They’ll also know how to be safe in the water, and this is the most important aspect of swimming lessons by Making Waves. Mollie has plenty of experience and certifications when it comes to swimming lessons. She knows how to get the most out of each child to enhance their ability to learn and enjoy swimming. Safety is the most important issue. Mollie teaches the children how to safely move around in the water before she introduces more enjoyable techniques. Your children are in capable hands. If you’ve been searching for a certified swimming instructor for your children, then you have come to the right place. The children will learn to swim in a comfortable and safe environment. Your fears and worries will be put to rest quickly once Mollie gets started. If you are interested in learning more, contact Mollie at makingwavesswimming.com. You’ll find out how swimming lessons can benefit your children and your family. The best swimming lessons available can be found with Mollie’s help. Feel free to send her your information so that she can schedule your children for their very own swimming lessons at their own swimming pools.